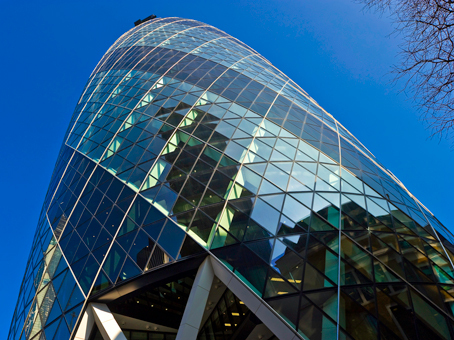 The 28th and 29th floors of the building, traditionally known as St Mary's Axe, are the setting for this impressive flexible workspace centre. 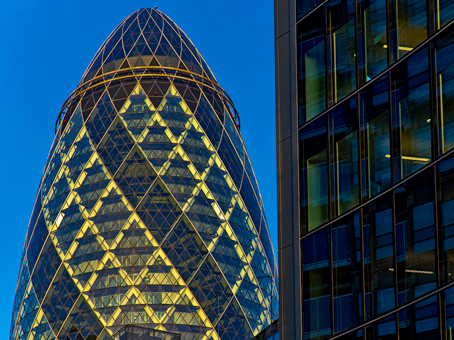 Situated in the heart of the City of London, the iconic glass and steel Gherkin-shaped building was designed by acclaimed architect Sir Norman Foster. 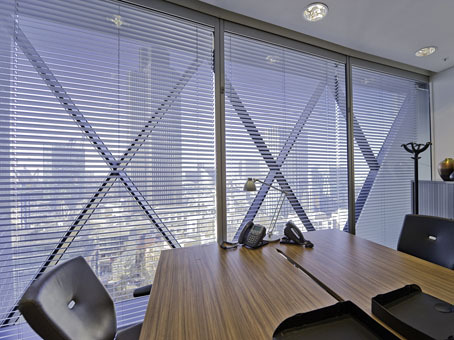 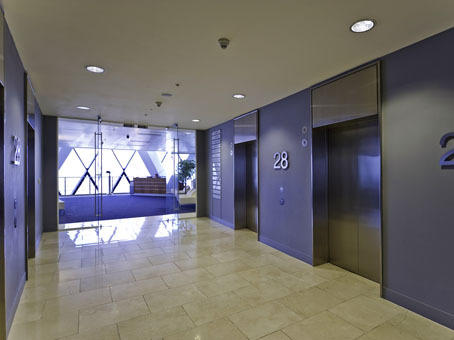 The serviced offices are occupied by traders, hedge funds, accountants, banks, recruitment specialists as well as occupiers from many other sectors. 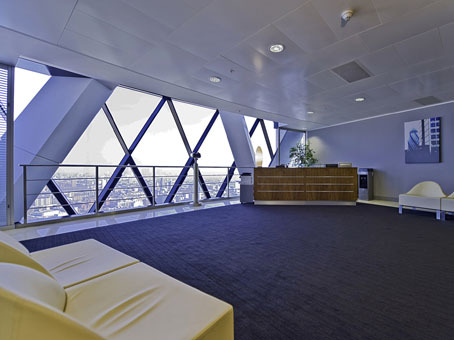 Clients enjoy access to the private bar and restaurant on the top floor of the building.